Gajanan Electricals and Electronics: Are you safe without Automatic Gate ? Are you safe without Automatic Gate ? Are you tired of the ritual you have to perform every time you get back home? You know, where you get out of the car, open the gate, support it with stones to prevent it from swinging shut, drive into the compound and then go back to close it? Well, you don’t have to do this any longer, thanks to technology, which has made it possible to have automated gates. Yes, your gate can open itself for you after you dial it from wherever you are. So you need not wake up the whole household when you return home late after that unusually long day at work. An automated gate functions like a TV remote. When approaching your gate, or if someone tells you that they are at the gate, all you have to do is call the SIM card mobile number allocated to it. The GSM switch picks the call then disconnects it, but it does not use up airtime. The gate opens, then once you, or your visitor, are inside, you call the number again and the gate automatically closes. Alternatively, you can set the GSM switch to auto close. This allows you to determine how long the gate remains open, say 20 seconds, before it closes. When you use this setting, do not have to call the gate twice because it will open and close itself within the interval you have set. Automated gates are very convenient and add to user safety, given that you do not have to call those inside to come and open for you. They are particularly convenient at night or in rainy weather because you do not have to hoot or call to wake up someone in the house to open the gate for you, which often ends up waking the whole household. “With an automated gate, you gain access to your compound quietly and faster, and with minimum disturbance to others. All you need to do is press a button and the gate opens,” offers Mr Anthony Kioi, the director of Vibro Dampers Engineering (VDE), a firm that builds automated gates in Ngara, Nairobi. Since automated gates are programmed, they enhance safety because in a risky situation, say if you are attacked at home or in the office, you need not get out of the house or office to close them. In addition, they save manpower since all it takes to open them is a phone call or press of a button. At places where you need to install heavy or huge gates, automation certainly makes it easier for you to operate them,” says Mr Edward Kiaria Kinoti, the marketing manager at Distinction Point Suppliers, a Nairobi-based firm that installs automated gates. 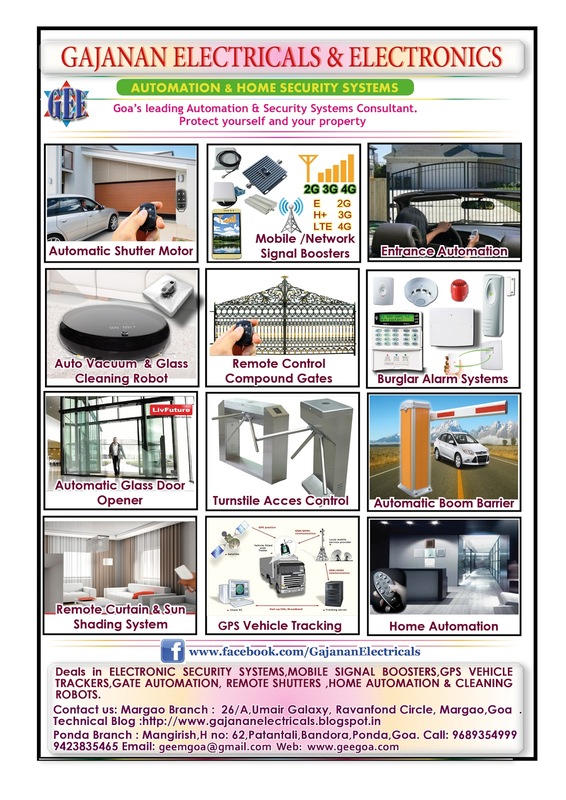 We Gajanan Electricals and Electronics offers various types of Automated Gates ,Shutters ,Doors and any type of entrance Automation .Call us on 9689354999 or you may whatsapp or can SMS .Same way you could contact other sources to contact Gajanan Electricals and Electronic.